It's been 2 months since I've made a video, yikes! I'm working hard at getting back on a regular routine with my content. When my Etsy shop took off and the orders started pouring in, everything else got put on the back burner. Then I had issues this year when I temporarily lost planner peace... Things are coming together better and I'm back in a place where I can comfortably say you can expect regular content again. This means 2-3 blog posts a week, and at least 1 video a week on YouTube! 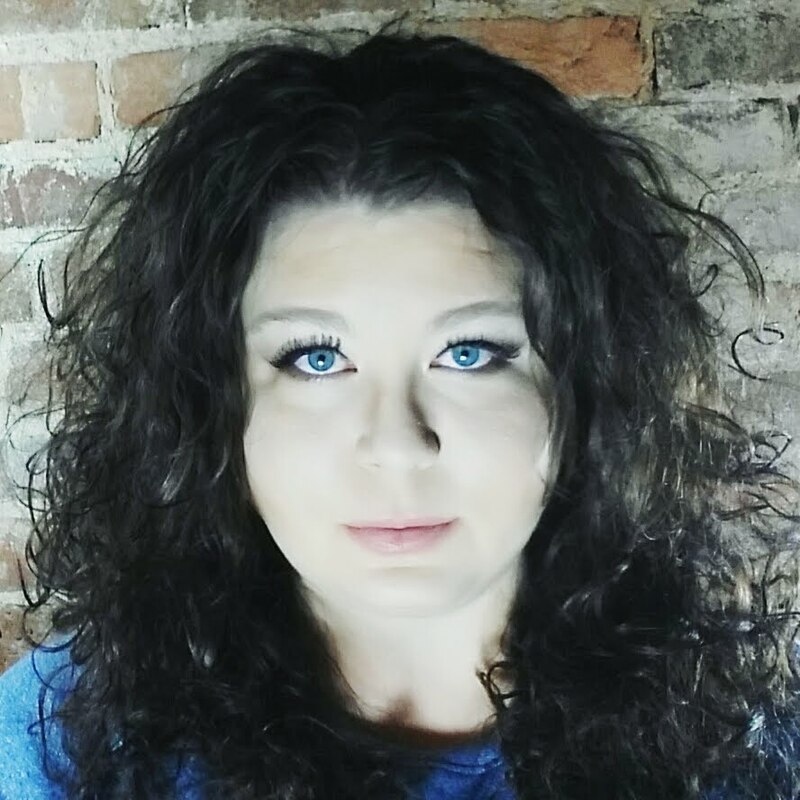 I was recently chosen to be on the Limelife Media & Creative Team for a second term. I'm very excited about this because I really missed working for them! A part of being on the M&C Team means they provide me with a brand new planner. I have to be 100% honest with you, I'm so grateful for this... I can't tell you how much I MISSED my full size spiral bound Limelife planner. 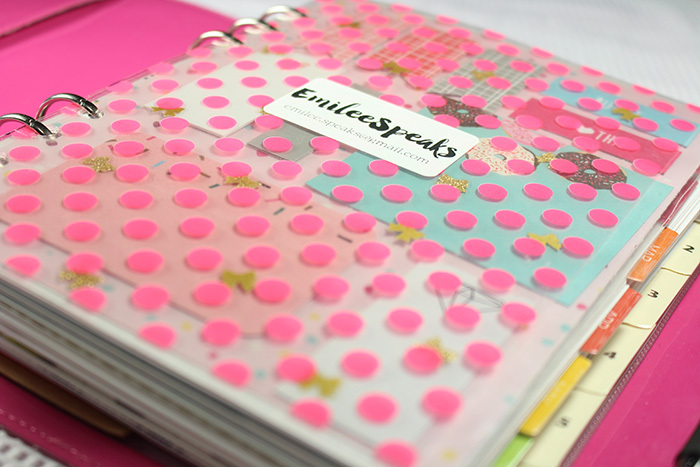 I thought I could be happy with just my A5 Limelife inserts in my Filofax, but I wasn't. It's now the middle of April and keeping it totally real today, I have been an unorganized mess this year! I'm not proud of it. However, I believe it happens to the best of us. I didn't know what my problem was UNTIL I received my new full size spiral bound planner. Then everything came together. I had a major "A-HA!" moment. I had missed her... That's what was wrong with my productivity! Now, I'm not giving up on my Filofax just yet. I actually really like it for certain things. The past 2-3 weeks I've been using these two planners together and I can honestly say for the first time this year... I've got my SH*T together! I am using my spiral bound Limelife planner for home, personal, and family things. 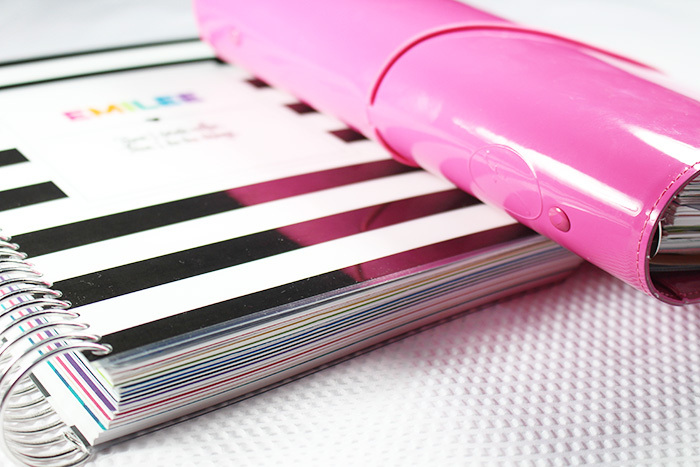 My Filofax is for business planning [Etsy, Blog, YouTube, etc]. Using these two planners together has lifted such a huge weight off my shoulders. The Filofax gets no decorating. It's strictly pen & paper. All business. I tuck my Staedtler template in my front pocket to make perfect "to-do" boxes. The beginning of the Filofax is roughly the same as it was in my 2016 Planner Setup post. I have my front page with my information. After my front page, I have a little dashboard I made. I just laminated some scrapbook paper, hole punched it, and stuck sticky notes and page flags on it. I went with a cutesy donut theme. Here's my weekly pages girls! Pen and paper. 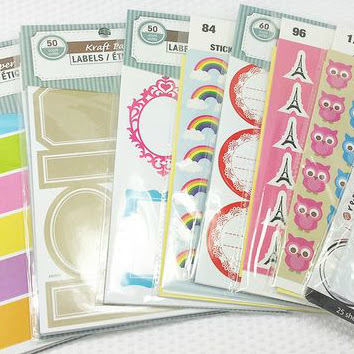 No frills, no washi, no stickers, no stamping. This planner is strictly professional. 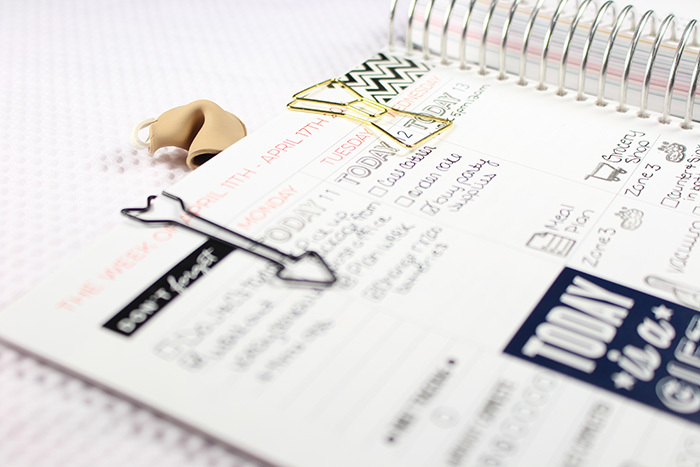 There's a few different reasons I have chose to not decorate my weekly pages in this planner. The main reason is: I don't have time to decorate TWO planners every week. Sure I could add in a little washi, but I really like the simplicity of just planning and getting my stuff done. I've even fallen in love with a new pen for this planner. I have jumped on the Pilot G-2 .07 bandwagon. This pen write like a dream on my pages. 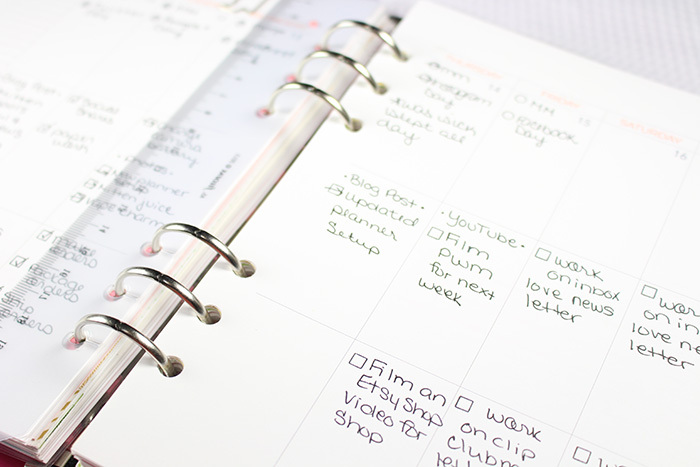 The monthly view in my Filofax business planner is for blog post & youtube video planning. I use page flags to tentatively place when I'm going to post a video or blog. Once it's set in stone, I write it directly into the planner. I also use the month view for Etsy coupon & sale planning. This helps me easily see and keep track of how often I have a sale and whether it was a hit or not. 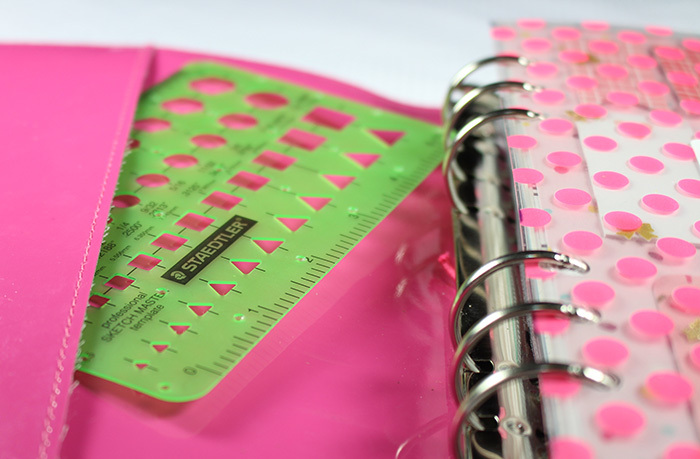 The only other major change I made to the Filofax setup was adding these 6 tabs that came with the Filofax. Yes they're ugly, but they serve a purpose. I'm utilizing these as my "Project Planning" section. Each project gets it's own tab and they're organized by importance. I shouldn't need more than 6 because if I'm working on more than 6 projects at once, there's a bigger issue... aha! For example: Right now in Tab 1 I have my Etsy Shop Revamp project planning information. I've recently made several changes to my shop and it took a bit of planning and work to make these changes. I tracked all my ideas and what I wanted to do in this section. In Tab 2 I currently have my Miracle Morning plans. I've been reading the Miracle Morning and I'm almost finished [more on that later on in the month]. I have been planning my Miracle Morning in my Project Planning section. 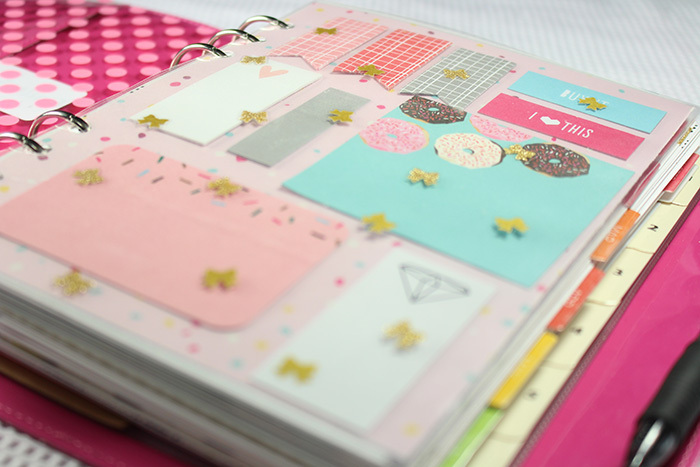 Previously in my Filofax setup for the 2016 Planner Setup post I did, I had several sections in the back where I put Limelife Add-On's. Like meal planning, fitness, social media planning, etc. Some of these have been moved to the big planner and some have been nixed for the moment. I chose Rachel in Layout A. There was a part of me that wanted to be brave. Be adventurous and try a different layout. I'm so glad I didn't. I know that Layout A works for me so I'm happy I stuck with it. Limelife has interchangeable covers for their planners and I already had several from my 2015 planner. So the cover choice when choosing this planner wasn't a major factor for me. What I knew I wanted from my experience last year, was the planner with the least amount of detail on the inside. 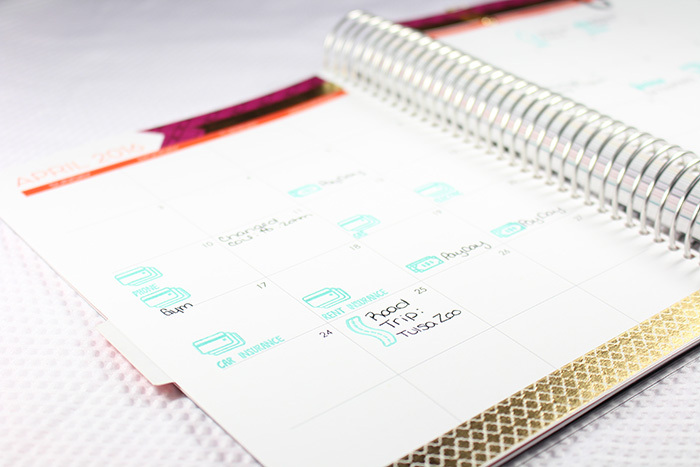 If you're unfamiliar with Limelife planners, the cover design you choose flows throughout the entire planner. You'll see this design at the top of your monthly pages and your notes. As an extensive planner decorator, I ran into some issues trying to cover up those designs on my monthly pages when they didn't match my theme. So I knew I wanted whatever had the least amount of design on the inside. Rachel is the cover design I chose and as you can see in this picture, her design on the monthly pages is simply a black line. That's exactly what I want. The monthly pages in my spiral bound planner are used for finances, trips, and random monthly occurrences [like flea medicine for the cats]. Now that I'm not trying to cram my business monthly tasks in with my household monthly tasks, it feels less cluttered. I'm loving this. On the weekly pages I was able to streamline my setup quite a bit. In 2015 I used the top box for household/personal/family, second box for blog/youtube, and third box for Etsy. That often left very little room for planning my household & family things. Now I'm utilizing the top box for random to-do's. This is where things go that I can't pre-plan. Things that pop up throughout the week that need attention. The second box I use for housework. That's an area of my life that seriously got ignored in 2015. I felt like things always needed cleaned and organized. Etsy kept me so busy that I told myself I rarely had time to clean. Which is partly true, but it was also due to a lack of planning and MAKING time. Now that I have plenty of room in my planner as a result of moving my business out of it, I can actually plan household chores. I'm getting myself BACK on the FlyLady routine and getting my SH*T together. The third box I use for fitness & health. I'm tracking my water intake, planning my workouts, and tracking when we "eat out" instead of making food at home. I'm using my sidebar as a daily tracker. I have "workouts complete", "miles completed", whether I remembered my vitamins or not, reading because I've made a goal to read every day, and my morning and nightly routines. This setup with the 2 planners has been amazing for me. My creativity is flowing again, I'm feeling organized, I'm getting things done. 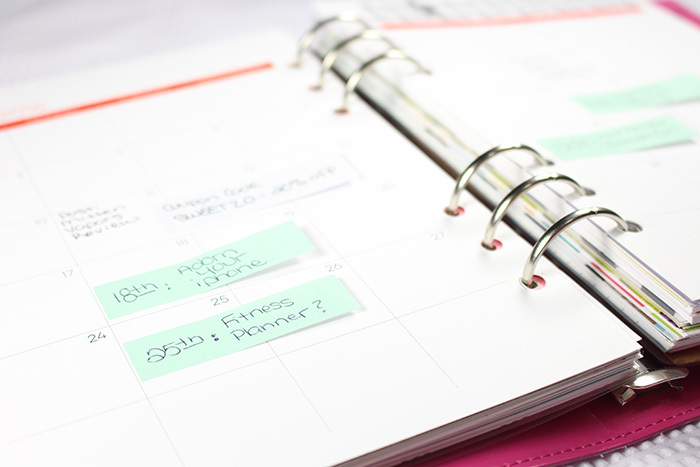 I NEVER thought I'd be a multiple planner girl. I "thought" that I wanted everything in one place. Well surprise! Isn't productivity funny some times? Not only is this going to benefit me tremendously, it's going to benefit you! Now that I feel organized again, I'm able to get content out regularly! 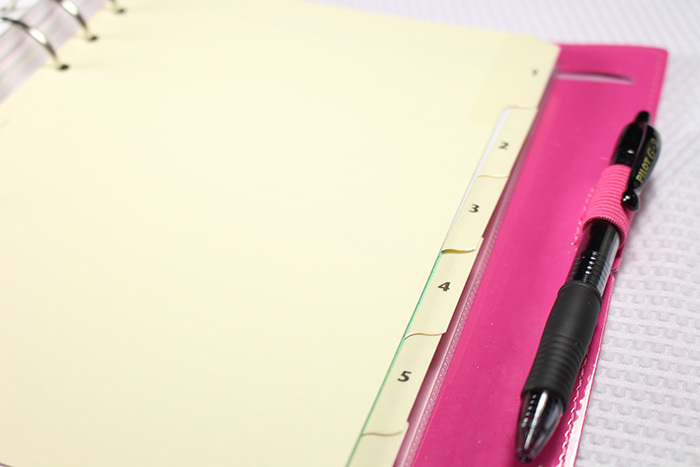 Do you use 1 or 2 planners? How do you incorporate them together? My first order was placed on February 24th and I have since ordered 30 bottles from them! 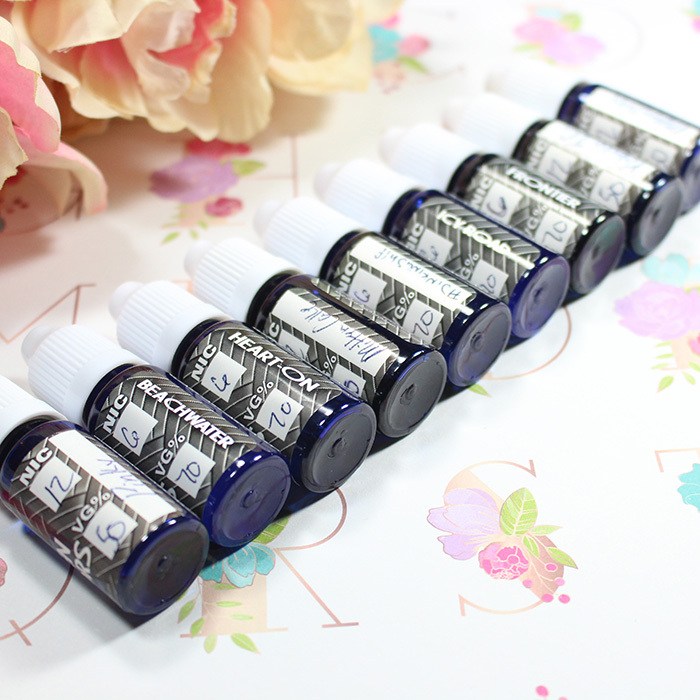 10ml sizes to try different flavors, 50ml & 120ml sizes of flavors I can't live without. I am so incredibly impressed with Mitten Vapors fast shipping, high quality, affordability, and customer service. Their liquid is made in an ISO 6 Certified Clean Room, not some random back room [like my local shops...]. Their liquid is affordable and delish. I was super surprised at the flavor quality of their liquid since the price is so awesome. I literally haven't touched a non Mitten Vapors liquid since my first order. This is my obsession... right here. This flavor is everything! I purchased this little 10ml bottle of it to try and have since reordered in 50ml and 120ml. It's amazing! This is hands down my all time favorite flavor to vape in the morning with my coffee. The flavor is called Heart-On and it's description from the company is: "A lightly sweet cinnamon dusted custard filled glazed donut". Seriously. SERIOUSLY! You have to try this flavor. I've never had a flavor that has made me fall in love as much as this one. 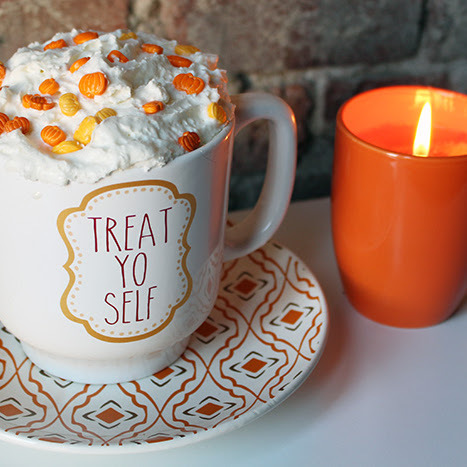 It also does a GREAT job of curbing that sweet tooth! I drink Guatemalan coffee that I purchase from a local coffee roaster. It's delish and robust. I drink it black and paired with this liquid to start my day off full of satisfaction. Another way I love to vape Heart-On is mixed with their flavor Icy Road. Icy Road is a strong peppermint and wintergreen flavor that is refreshing and surprisingly amazing added to most flavors. Mixed with Heart-On it's like a fire and ice type profile. I was recently sick with a cold for a week and I vaped this mix exclusively. It was fantastic [and also the only thing I could taste due to the cold...]. I have tried 26 of their flavors now. Not a single one did I not like. I enjoyed "Frontier" which is a chocolate hazelnut tobacco flavor and I don't normally like hazelnut OR tobacco [I purchased it for my girlfriend who doesn't like sweet vapes]. I can't recommend this liquid line more. You have to try it! Mitten Vapors was awesome enough to give me a coupon code for my readers after I wrote to them and told them how much I love their product. They didn't reach out to me asking me to advertise for them, I reached out to them to praise them for a wonderful product. 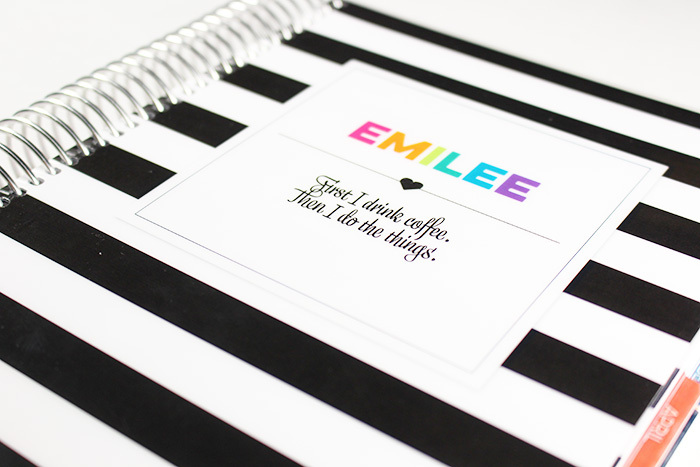 So you can hop on over to their site and use coupon code EMILEESPEAKS for 25% off your order! No excuse vape fans, go try this brand. I am very passionate about this company and their products. The staff is friendly and incredibly helpful. They're very active in the Mitten Vapors Facebook group and have proven themselves to have top notch customer service. 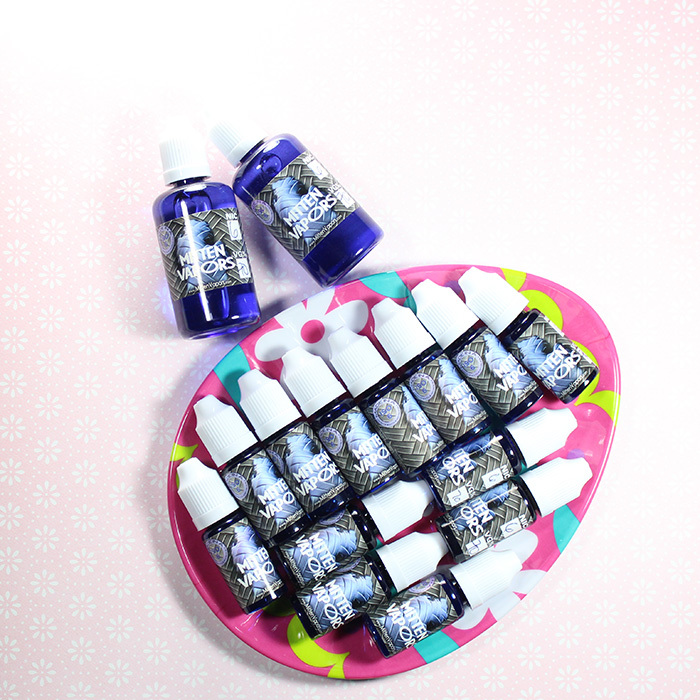 ♥ Icy Road: A refreshing mixture of Wintergreen and Peppermint flavors. ♥ Pinky: The most complete Pink Starburst flavor to date, this sweet ans succulent candy vape will satisfy your sweet tooth for the real thing! Plus, everyone loves the pink one! ♥ #SinkingShip: This flavor took us a long time to create weighing in at 13 different ingredients this is a hugely complex dessert vape that has a nice banana, chocolate and peanut butter inhale with a smoothly sweet and creamy exhale. ♥ 3 Day Weekend: A top seller that will make you want to vape for 3 straight days! A strong creamy BANANA inhale with a rich BANANA CUSTARD finish! I just know you'll find your new favorite all day vape at Mitten Vapors. Let me know what you try & what you love! I'll post more about the flavors in the future! Disclosure: Mitten Vapors did not sponsor this post. When I reached out to them they did provide me with a coupon code for my readers. This was after I already had placed several orders to them with my own money and fell in love with their product. I'm just sharing my honest love for their product! 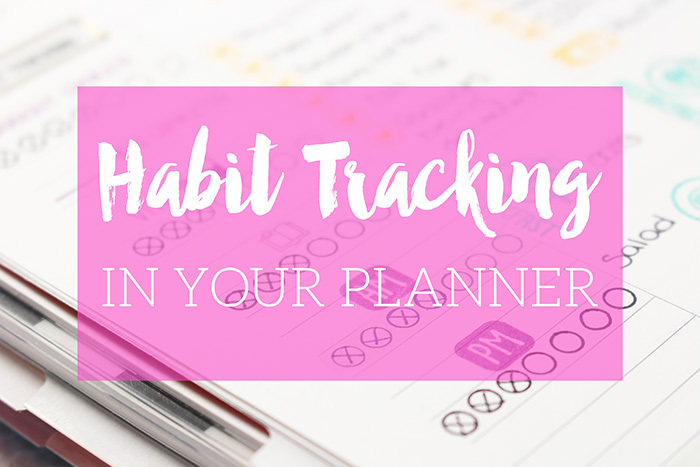 Habit tracking is something that has been wildly popular within the bullet journal community for quite some time now. 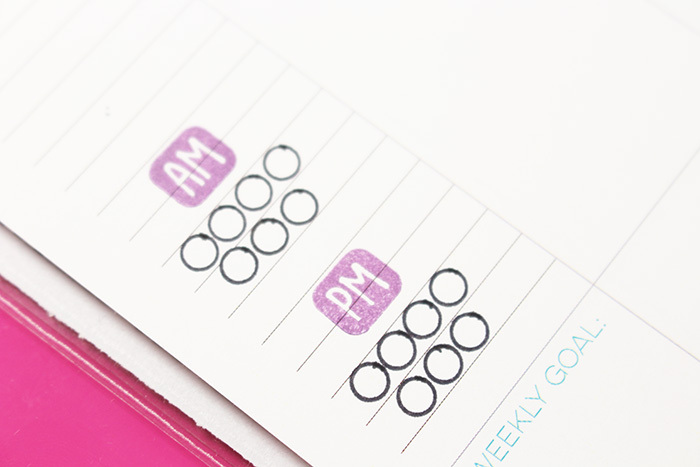 Lately, this method of attaining goals has made way into other planners. In "notes" sections, in "sidebars", or even laminated and added in. Habit tracking is actually incredibly useful whether you're a CEO, Entrepreneur, stay at home Mom, etc. 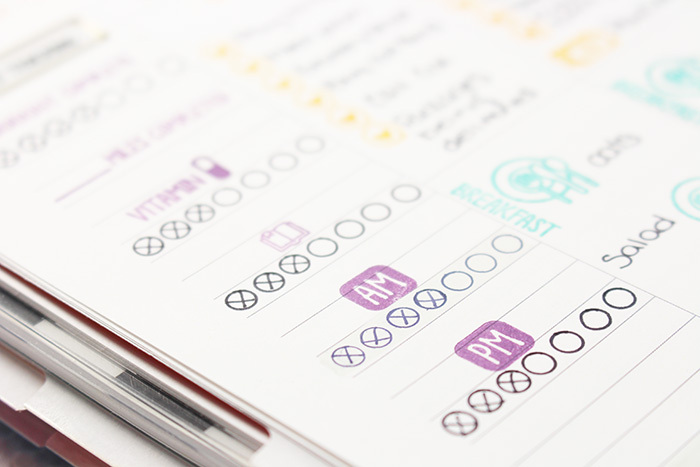 Habit tracking can be a crucial step in achieving your goals and getting stuff done. I have been keeping my habit tracking in the sidebar of my Limelife planner. I've recently read the Miracle Morning and completing my morning and nightly routine every single day has become very important to me. 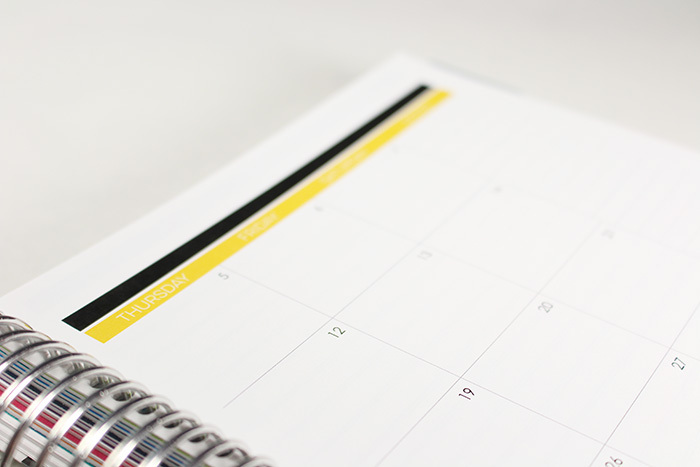 I have several personal habits that I'm tracking within those routines. The main one is taking better care of my skin. I work primarily from my home office so I rarely wear makeup anymore. This has caused me to really slip on my skincare routine. If I'm not taking makeup off at night, my mind forgets the rest and I go on to bed. I recently turned 33, so skincare is definitely something I need to get back to paying attention to. I decided I needed to browse for some skincare for my habit tracking. 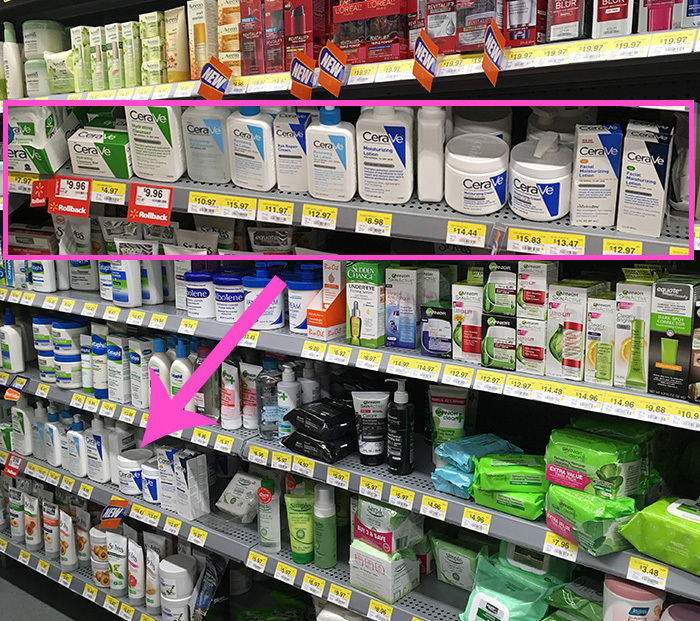 I wandered into Wal-Mart and while in the skincare isle, my eyes were drawn to Rollback stickers for CeraVe. 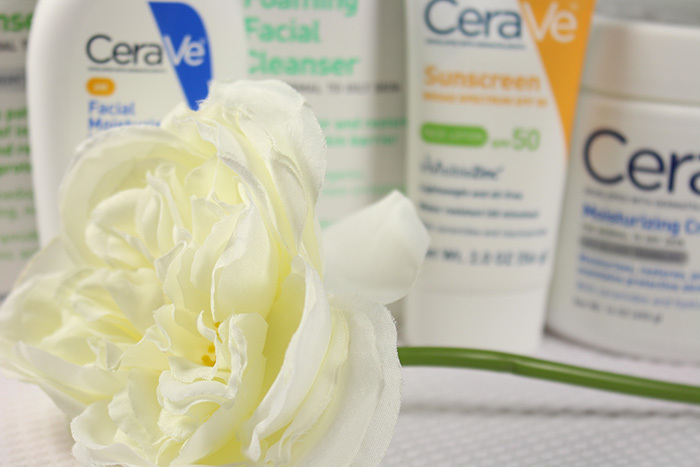 There were the CeraVe Hydrating Cleanser, the CeraVe Foaming Facial Cleanser, and the CeraVe Moisturizing Cream. They're on Rollback to $9.97 until 5/9/16. So I grabbed all 3 and then also picked up the CeraVe AM Facial Moisturizing Lotion and the CeraVe Sunscreen Face Lotion SPF 50. I don't see a lot of sun to be honest, haha, but our family is taking a vacation this summer. CeraVe helps replenish the vital ceramides healthy skin needs. I have sensitive skin and CeraVe products are non-irritating, fragrance fee, and most are non-comedogenic. Both cleansers remove dirt, oil, and makeup. The Hydrating Cleanser cleanses while ceramides and hyaluronic acid moisturize, soften, and help repair the skin barrier. 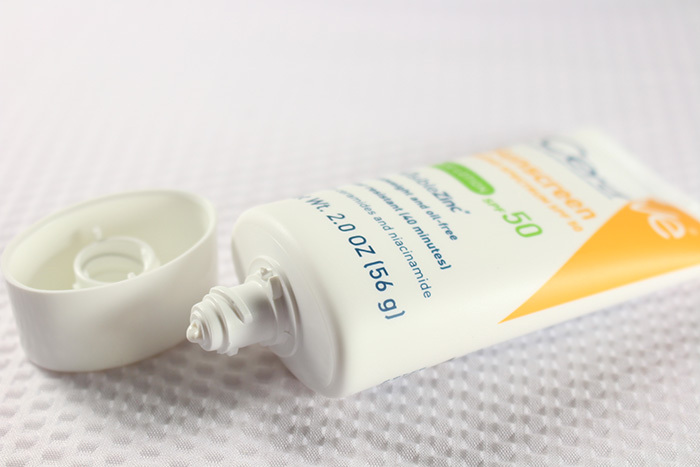 The CeraVe AM Facial Moisturizing Lotion moisturizes while providing broad spectrum sun protection. 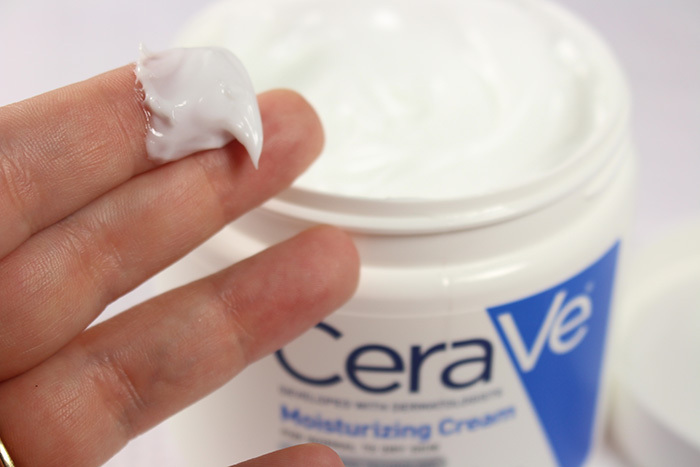 One of my favorite products I picked up out of all of them was the CeraVe Moisturizing Cream. It moisturizes while restoring the protective skin barrier with vital ceramides. Only CeraVe delivers ceramides through a patented, controlled-release technology that penetrates the skin's surface, to help rebuild the skin's protective barrier and lock in moisture all day. This cream is non-greasy and has done wonders on my dry elbows and feet. It's pretty much sandal weather already in Kansas so it's time to take care of those feet! Developed with dermatologists, our mission is to provide advanced skincare products that do more than just moisturize the skin’s surface. 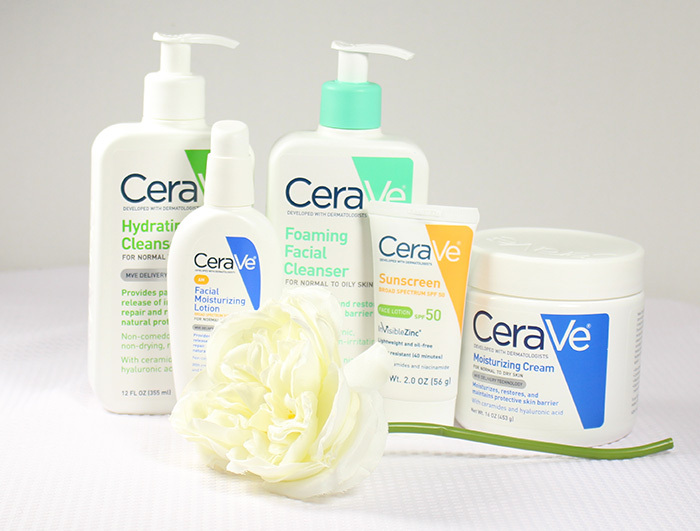 CeraVe is the first and only brand to offer a full line of skin care products that contain an exclusive combination of three scientifically-identified vital ceramides. CeraVe products penetrate the skin’s surface, infuse it with moisture, and lock it in for truly long-lasting results and beautiful, healthy looking skin. Try CeraVe by checking out their website and getting a coupon for $2 off! Like I mentioned above, I track my habits in the sidebar of my Limelife planner. I am tracking: Workouts completed, Miles completed, Daily Vitamins, Daily Reading, AM routine, and PM routine. I also track my water intake on each day in my planner. You can be as elaborate or as simple as you'd like with your tracking. What I do is use my stamps from Sweet Stamp Shop to notate what I'm tracking. Here I'm creating my AM routine & PM routine trackers. I ink up my stamp with whatever color I want for the week and stamp down the sidebar leaving space for circles. I create the circles with a Staedtler stencil to make perfect circles. 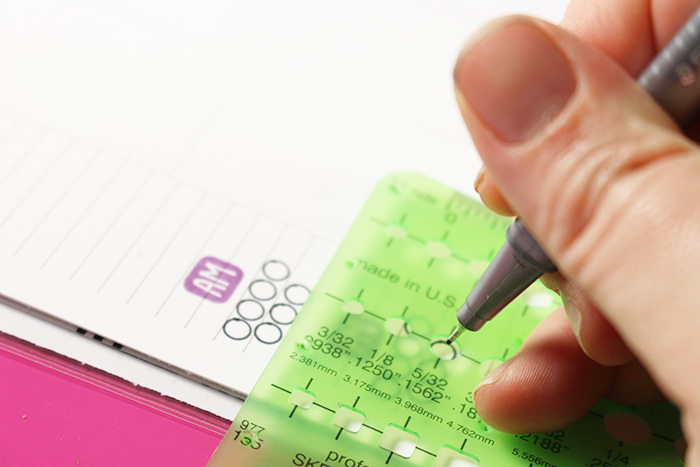 Depending on the width of where you're putting your tracker you can do all 7 circles in one row, or 4 and 3. It's completely up to you. This method has been working great for me! I love how it looks and how easy it is to create. I can also quickly flip through past weeks to see how my progress is going. Am I succeeding in making this a true habit or am I still forgetting and struggling? It has been said that it takes about 66 days to successfully form a habit. 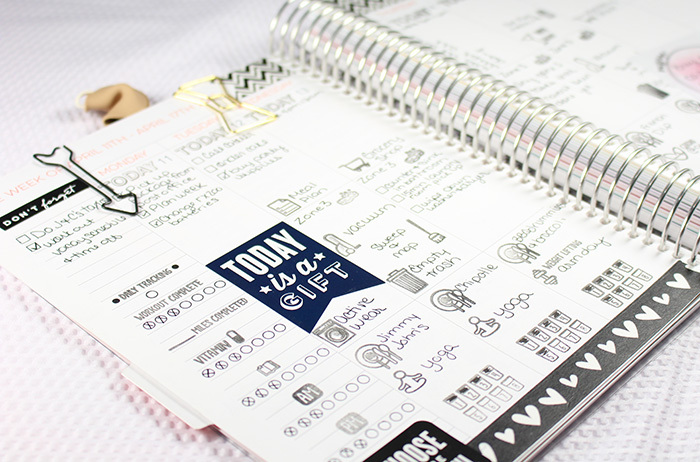 Do you track habits in your planner? What do you use and have you been successful? I'd love to know! Let me know in the comments below.